These illustrations are part one and two of the black and white prints within the Enochian experiment. 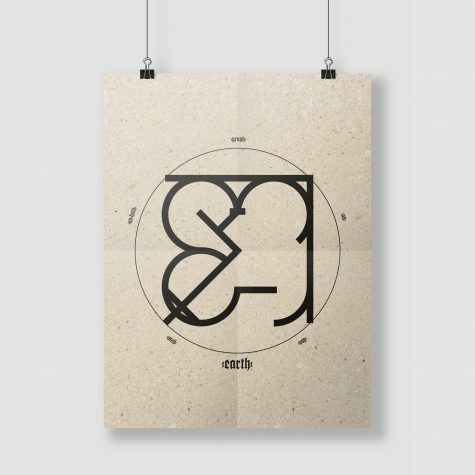 They represent the words ‘Earth’ and ‘Air’. For every Enochian syllable, there’s an English equivalent. Each letter has various characteristics: a symbol, a numerical value, one (or in some cases two) colors, a chemical symbol and so on. I abstracted the symbols by forming a grid in which every Enochian letter can be placed. The design of the symbols depend on its own characteristics, f.e. the thickness/weight of the line may be set by its numerical value. 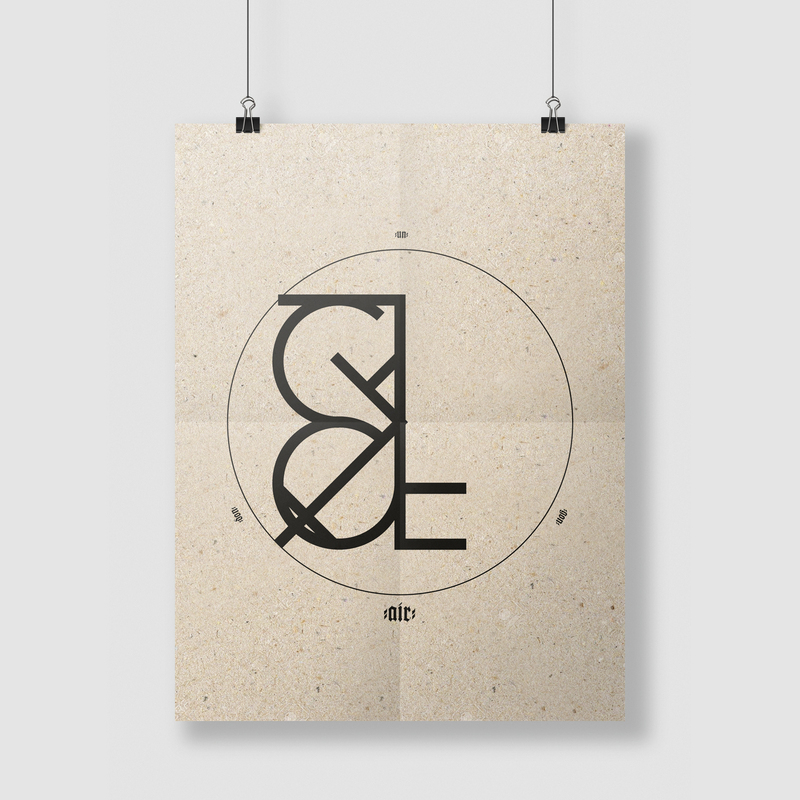 When doing this with every letter of a word, illustrations are formed. The main idea is to create illustrations not influenced directly by my own emotions but by following a calculation or a code. The drawings for ‘Earth’ and ‘Air’ are based upon the most basic interpretation of the code. Each letter got the same weight and the color black. I used the words ‘Earth, Air, Fire and Water’ as they’re also the main elements appearing in the Enochian Key.